A sports commentator is the person who provides a running commentary of a game or event in real-time by live broadcast with media houses. They are the backbone of any sports event as they maintain the thrill in the minds of sports fans, with their voiceover, generally in historical present tense. There are many famous cricketers who moved to the media field after their retirement and chose commentary or sports journalism as their second career. There are many commentators in the cricket field also like Harsha Bhogle, who never played the game of cricket actively but still proved themselves as one of the most successful commentators. Many recently retired cricketers like Adam Gilchrist, Waqar Younis, and Sourav Ganguly are also working as guest commentators and match summarizers for various channels as the field of commentary have proved itself as one of the best choices after the retirement of an international cricketer. And here is the list of 10 cricketers who became commentators. Our team has carefully selected the cricketers who successfully turned their career into the field of sports commentary or as a successful media person. We chose the players who had worked with multiple media house as a commentator which further boosts their versatility over the field of cricket commentary. We only selected the cricketers who have multiple channels in their resume throughout their commentator careers. There are few numbers of cricketers who are known as the most successful commentators but didn’t have enough media house profiles to be inducted in the list of cricketers who became commentators. Retired English Cricketer Geoffrey Boycott established himself as one of the most successful opening batsmen of England. He made 8114 runs in 108 international test matches with a batting average of 47.72 and made 1082 runs in 36 ODI matches with a batting average of 36.06. He also played for Yorkshire from 1962 till 1986. 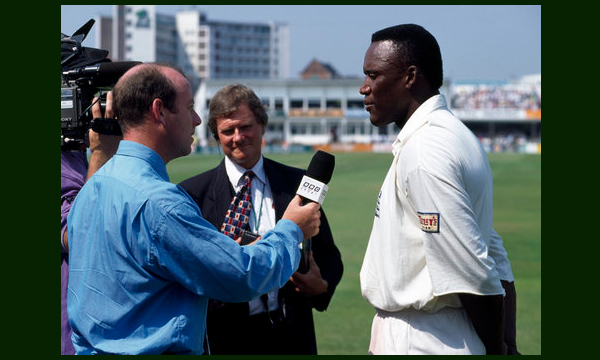 Besides his active playing career, he worked as a commentator for Sky Sports from 1990 to 1998 and BBC Television for England from 1993 to 1998. Boycott also started working with ESPN Star Sports in India from 1997 to 2005. He also worked with English Channel TalkSPORT from 1998 to 2003. He worked as a commentator for Channel 4 of England from the 2004-05 season and then moved to Channel Five in 2006 which he is continuing till date. Boycott also appeared as a guest of BBC Test Match Special from 2005. Former West Indian cricketer Ian Bishop played for the national side of West Indies as a powerful fast bowler from 1989 to 1998. He took 161 wickets in 43 international test matches with a bowling average of 24.27 and took 118 wickets in 84 ODI matches with a bowling average of 26.50. Besides his international appearance, he also played for Trinidad and Tobago from 1986 till 2000. 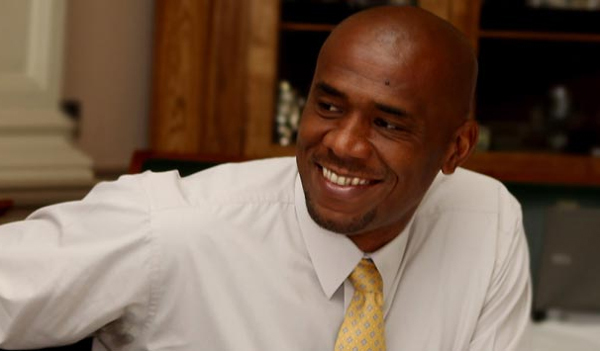 Besides his cricket career, Bishop appeared as a commentator of Channel 4 aired in England from 2000 to 2004 and then moved to Sky Sports in 2005 which he has been continuing till now. He worked as a commentator for Channel 5 of England from 2007 to 2009. Besides the channels of England, Bishop also appeared as the commentator of South African SABC Television from 2005 to 2008. 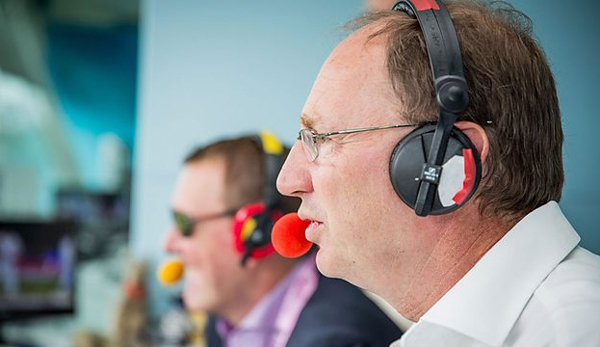 Former professional English cricketer Jonathan Agnew made three appearances in Test matches for England national team and took four wickets and made three more appearances in ODI matches and took three wickets. Besides his national side, he played for Leicestershire from 1979 till 1992 in first-class cricket and took 666 wickets in 218 matches with a bowling average of 29.25. Besides his career as a regular cricket player, he worked as a cricket journalist and summarizer in The People from 1990 to 1991. 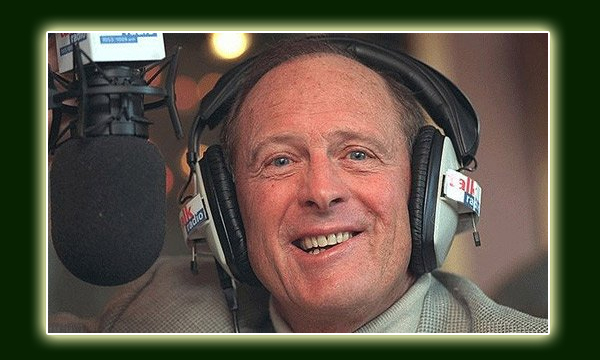 Agnew appeared as a guest commentator of Test Match Special aired on BBC from 1991 till date. He also worked as a commentator for BBC Television in two spells in 1999 and then again from 2006 to 2009. 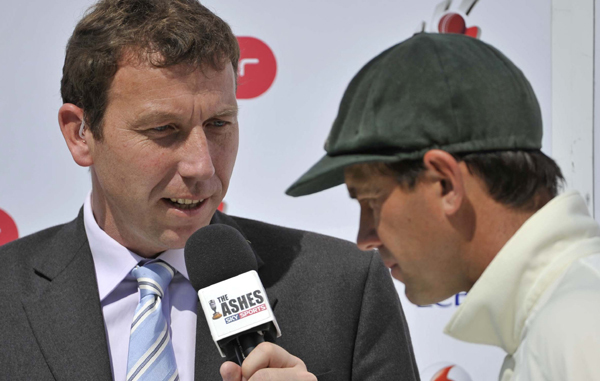 Retired England international cricketer Mike Atherton was a right-handed opening batsman for English national side. He made 7,728 runs in 115 international test matches with a batting average of 37.69 and made 1,791 runs in 54 ODI matches with a batting average of 35.11. Besides international appearances, he played for Lancashire from 1987 till 2001 and made a brief debut for MCC from 1987 to 1990. Besides his cricket career, he worked as a cricket journalist and summarizer in Sunday Telegraph circulated in England from 2002 till date. Atherton appeared as a commentator for Channel 4 of England from 2002 to 2005 and for TalkSPORT from 2004 to 2005. He is working with the Sky Sports aired in England since 2005. 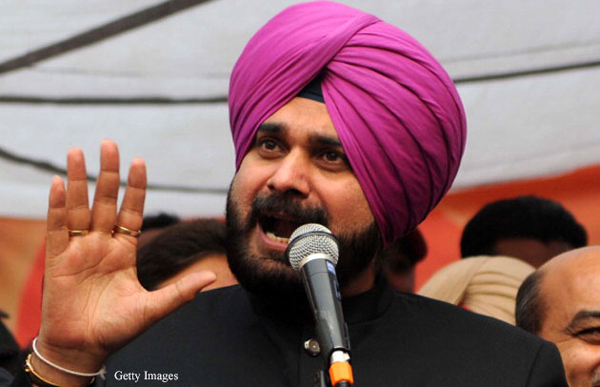 Former Indian cricketer and current Member of Parliament from Amritsar Navjot Singh Sidhu played for Indian national cricket team from 1983 to 1999. He made 3,202 runs in 51 international test matches with a batting average of 42.13 and made 4,413 runs in 136 ODI matches with a batting average of 37.08. Sidhu also played for Punjab in first-class cricket from 1981 till 2000. Besides his active cricket career, he started working as a cricket commentator with ESPN Star sports aired in India in 1999 and continued with them till 2003. He moved to TEN Sports aired in the United Arab Emirates in 2003. Sidhu appeared as the commentator of Indian channel NDTV 24×7 from 2006 till 2009. He moved to Indian channel Times Now in 2010 and still working with them. 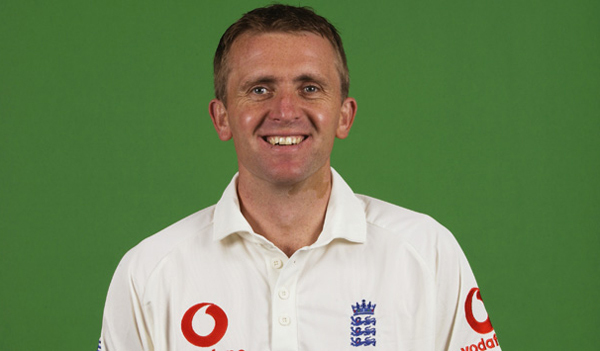 Former English cricketer Dominic Cork played for English national side from 1995 to 2002 as a right-hand batsman and medium pace bowler. He took 131 wickets in 37 international test matches with a bowling average of 29.81 and took 41 wickets in 32 ODI matches with a bowling average of 27.43. Besides his international appearances, he played for Staffordshire in 1989-90 season and played for Derbyshire from 1990 till 2003. Dominic Cork started his commentator career with Pakistan Television Corporation in 2009 which he is continuing till date. He appeared as the guest commentator for Test Match Special of BBC aired in England from 2010 and still working with them. Cork also appeared as a commentator for Talksport since 2013 and for Sky Sports since 2011. Former English cricketer and journalist Simon Hughes was nicknamed The Analyst and played as a fast medium bowler for Middlesex from 1980 to 1991, Northern Transvaal from 1992 to 1993 and for Durham in 1992-93. He took 466 wickets in 205 first-class appearances with a bowling average of 32.48 and also made 1,775 runs. Besides his active cricket career, he worked as a full-time sports journalist with various media houses. Before he started working as a full-time commentator, he worked as the cricket journalist and column writer with two famous newspapers The Independent and the Daily Telegraph circulated in England. He appeared as the commentator for Channel 4 aired in England from 1999 to 2005 and then moved to Channel 5 in 2006. He also appeared as the commentator for Test Match Special Aired in England’s version of BBC from 2007 till date. Former Australian cricketer Ian Chappell played for Australian national side since 1964 till 1980 as a successful top-order batsman. He was inducted into the ICC Cricket Hall of Fame on 9 July 2009. He made 5,345 runs in 75 international test matches with a batting average of 42.42 and made 673 runs in 16 ODI matches with a batting average of 48.07. Ian also played for provincial South Australian team from 1962 till 1980 and played for Lancashire in 1963 season. 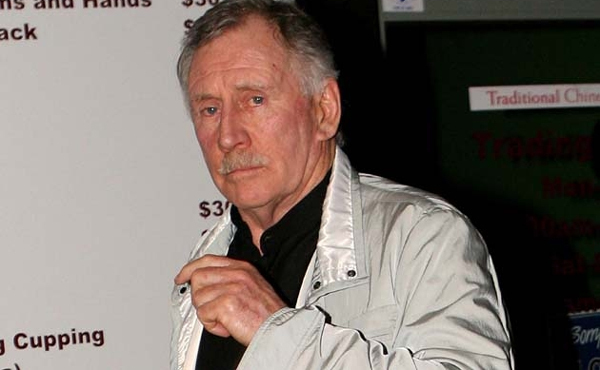 Besides his active cricket career, Ian Chappell started appearing as a cricket commentator since 1980 with Nine Network aired in Australia. He started working with ESPN Star Sports aired in India since 2007. Besides being a regular commentator, he also appeared as a commentator for Channel 5 in 2009 season. Former British Cricketer, journalist and author E.W. Swanton played three matches for Middlesex in 1937-38 seasons and made7 runs in first-class cricket. He was more successful as a cricket journalist and commentator and was easily recognized by his distinctive “fruity” voice. Swanton wrote many famous books on cricket such as Elusive Victory, Cricket and the Clock, Best Cricket Stories and Follow On. He started working for BBC aired in English regions and appeared as the commentator of Test Match Special from 1938 to 1975. He also covered various international matches for BBC Television from 1948 to 1967. 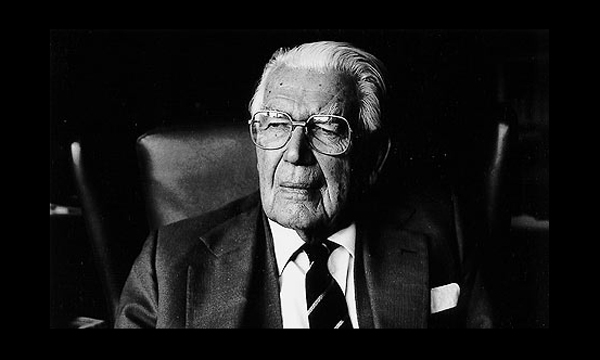 Besides his career as a commentator, Swanton also wrote regular columns in The Daily Telegraph circulated in England from 1946 to 1975. 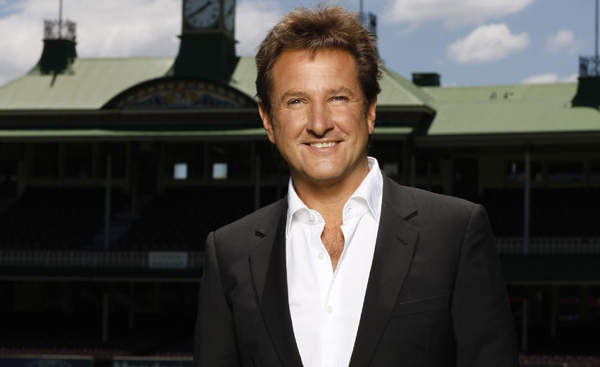 Former English First Class Cricketer Mark Nicholas played for Hampshire from 1978 to 1995 as a right-handed batsman and medium pace bowler. He made 18,262 runs in 377 First Class test matches with a batting average of 34.39 and took 72 wickets and made 7,334 runs in 359 First Class One Day matches with a batting average of 27.78. Besides his active cricket career, He wrote cricket columns and worked as a cricket journalist in the Daily Telegraph circulated in England. He started working as a commentator with Sky Sports from 1996 to 1998 and then moved to Channel 4 aired in England in 1999 and worked there till 2005. Nicholas also appeared as a guest commentator on Nine Network aired in Australia since 2001 and Channel 5 aired in England since 2006. There are many other cricketers from several countries who proved themselves as a reputed commentator such as Sri Lankan cricketer Russel Arnold and Aravinda De Silva, Pakistani legendary bowler Wasim Akram, former English cricketer Freddie Brown, Indian cricketer Farokh Engineer and legendary Indian batsman Sunil Gavaskar. There are more cricketers still to come to the field of commentary as commentary has proved itself as one of the best platforms for retired cricketers. Famous cricketers such as former England Test cricket captain Tony Greig, the Sultan of Swing Wasim Akram and legendary Indian All-rounder Ravi Shastri who also proved them among the very best commentators of the cricket world. Those players are often considered as the father figures of the cricket commentary as most of the cricket world stands still when they take the mouthpiece in the media boxes. We purposefully excluded them from this list and giving them a true honor as we grew listening to them during cricket matches since our childhood. Don’t forget to share and subscribe. Also, leave a comment down below and tell us who is your favorite commentator?